1. City administered food facilities (public schools, hospitals, mental hospitals, and jails) should offer a vegetarian menu in addition to the standard menu. This will lead to a kinder, gentler, more compassionate world with less fear, bullying, alcoholism, and misery; and its good for the environment and will result in lower long-term health care costs. 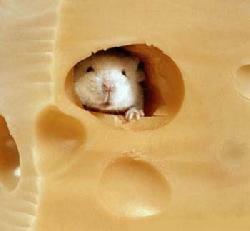 I think vegetarianism is a crucial ethical choice for an individual and a society. 2. THE WTC SITE is some of the most important real estate in the world, but over several years a corrupt process has produced plans that are impractical, mediocre, and meaningless. These plans will be a failure; they should be scrapped and other plans considered. For example, versions of the WTC Towers Memorial plan were prefered by the majority of sampled victim's families and the public. 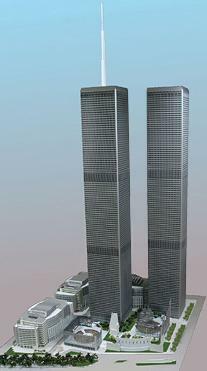 These plans featured conventional historical memorials and optional modern Twin Towers. These plans are more practical, meaningful, attractive, and secure. Start over without the LMDC and PA, otherwise expect a fiasco. 4. NYC government should have complete control of the MTA. 5. Decriminalize pot: Marijuana should be taxed (perhaps $50/oz) like cigarettes and regulated like alcohol. It should be legal to grow, use, or sell. Legalization could be tried on a trial basis. Other states should try it too. Many people imprisoned just for drug offenses should be released. 6. There's a financial crunch and the Public Advocate's office is probably over staffed. With the advent of 311 and more efficient city government the 40 employees could be reduced. I would cut my salary in half as an example. I don't want a city car, bodyguard, media consultants, etc. The office will not be used for self-promotion. If elected I will try to form coalitions with city council members to support issues on this platform. Rudy Crew might be paid a consulting fee on the schools from the Public Advocate's budget. 7. The best way to treat city garbage could be modern local separation/incineration facilities. Garbage separation and minimizing air pollution would have priority over electricity production. This could be tested first. Commercial organic waste and other specified waste would be collected and treated separately. Sludge disposal might also be improved. 8. Change the fountain sculpture and artwork in the Foley Square vicinity. This stuff should be sold, moved, or donated, and replaced with something better, maybe even classical. Cool art like the Central Park Gates and Washington Square lampshades should be kept longer. 9. The government in Albany has too many problems. New York City should try to be more independent and separate its finances more from state government. This could solve the New York City budget crisis, and in the long run might help upstate too. There is a slim chance Mike Bloomberg could straighten out Albany, but he is unavailable to run for governor. 10. More indoor parking construction should be encouraged, possibly with more tax incentives. 12. There are other issues of concern to the public such as the homeless, health care, gay rights, etc, etc. Although the City Council and mayor's office address these issues, the PA office will also have a few people to address these issues. In my opinion the US should copy the Swiss immigration system, but allow more citizenship. This campaign does not accept contributions or matching funds.